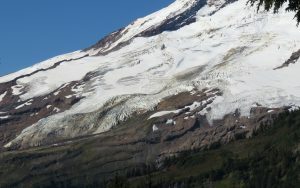 Boulder Glacier is the most prominent east side glacier on Mount Baker. 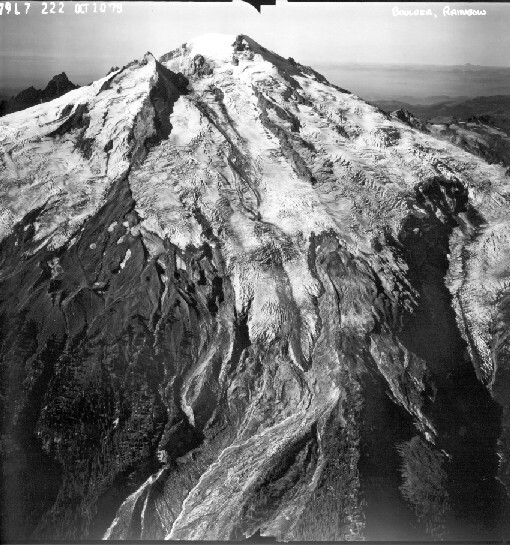 This steep glacier responds quickly to climate change and after retreating more than 2 kilometers from its LIAM, it began to advance in the 1950’s as observed by William Long (Long, 1955; 1956). 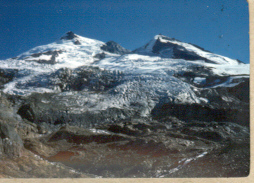 The glacier advance had ceased by 1979. 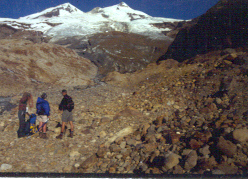 From 1988-2008 we visited this glacier every five years recording its changes. In 1988 the glacier had retreated only 25 meters from its furthest advance of the 1950-1979 period. By 1993 the glacier had retreated 100 m from this position. 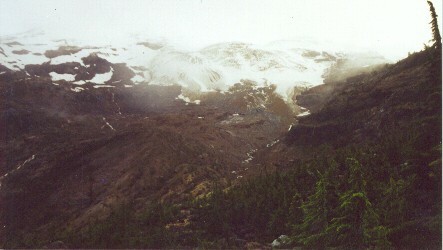 At this time the lower 500 meters of the glacier was stagnant. By 2003 the glacier had retreated an additional 300 m. In 2008 the glacier had retreated 490 meters from its 1980 advance position, a rate of 16 meters per year. 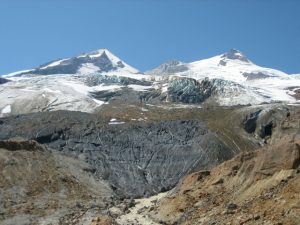 The glacier as seen in 2008, despite the steep slope, has few crevasses in the debris covered lower 400 meters of the glacier. This indicates this section of the glacier is stagnant and will continue to melt away. The transition to active ice is at the base of the icefall on the right-north side of the glacier. This glacier after 25 years of retreat is still not approaching equilibrium and will continue to retreat. This is a reflection of continued negative mass balance as measured on the adjacent Easton Glacier. It does respond fast to climate change, and the climate has not been good for this glacier. 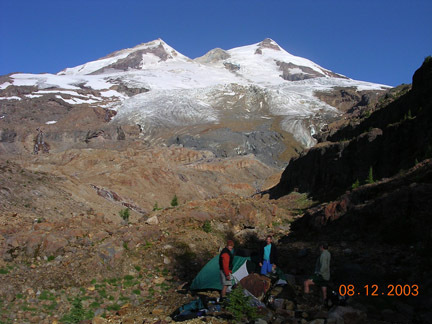 The glacier does have a consistent accumulation zone and can survive current climate. 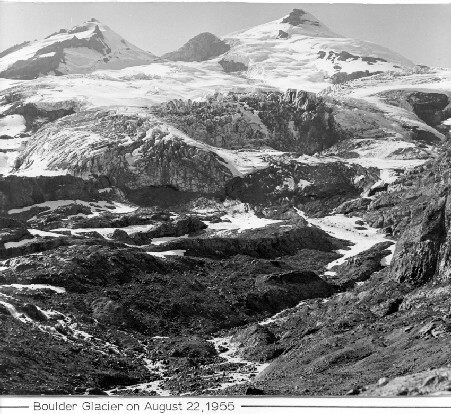 Boulder Glacier in 1908 viewed across the glacier 1 km below the current terminus location during a Mountaineers trip taken by Asahel Curtis . A satellite image from 2009, shows additional retreat now at 515 meters from 1984 to 2009, 20 meters per year.